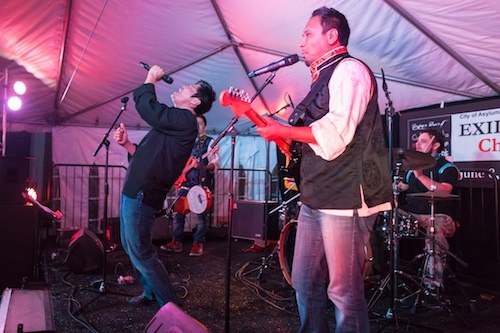 Melong Band: When Tibet Rocks! Four guys on a mission to preserve Tibet with Rock n’ Roll. Melong Band (l to r): Tenzin Tsewang, Tenzing Jigme, Tenzin Ngawang, George Dorjee. Photo: Renee Rosensteel. 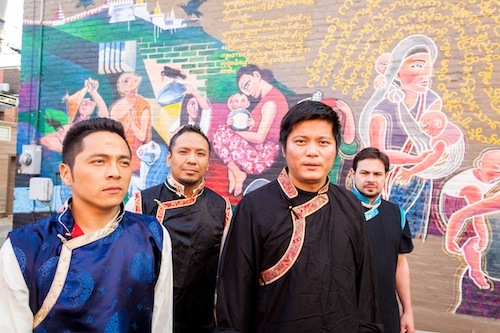 Melong Band is the only Tibetan rock band in the United States to be touring and recording. Based in Minneapolis, Minnesota the band came to Pittsburgh on June 8 to perform at City of Asylum/Pittsburgh’s Exiled Voices of China and Tibet event. Like its blend of Tibetan music, reggae, and American blues, Melong is comprised of three Tibetan members—Tenzing Jigme (Guitar, vocals), Tenzin Ngawang (Vocals, dranyen), Tenzin Tsewang (Bass)—and a Minneapolis resident, George “Dorjee” Marich (Drums). Even though none of them are older than 35, the band sings about the struggle that Tibetans have endured since the Chinese government occupied the region in 1959. Though Melong does not shy away from saying that their music is a form of protest, some western listeners might be surprised when they read that just mentioning the Dalai Lama is a revolutionary act. When Melong played in Pittsburgh on a warm, clear night, they took part in a collaborative performance that featured the exiled Chinese poet Huang Xiang, and the rapper Jasiri X. Earlier that day, after the musicians had rehearsed and discussed the show’s logistics, Sampsonia Way was able to get some time to talk with Melong’s Tenzing Jigme and Tenzin Ngawang. In this interview the band’s guitarist and singer talk about Chinese censorship, how Tibetan youth are responding to their songs, the exiled Tibetan community in Minneapolis, and how they’re preserving culture through music. 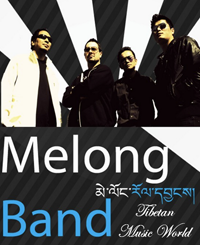 Melong Band is a Tibetan rock band based in Minnesota. Melong released its debut album titled “Notes in Exile” on July 6, 2009 to coincide with the birthday of His Holiness the Dalai Lama; its second album, “Revolt,” was released in July 2011. Melong’s music is influenced by rock, reggae and blues, and incorporates traditional Tibetan instruments such as Dranyen and Piwang. Melong recently performed in Minneapolis, Chicago, San Francisco and New York as part of an awareness-raising campaign called the Tibetan Freedom Tour. Band members include Tenzin Ngawang (vocals/dranyen), Tenzing Jigme (guitars), Tenzin Tsewang (bass), and George Marich (drums). Would you define yourself as an exiled band? Tenzing Jigme: Yes. The situation in Tibet and Chinese occupation forced us into exile. I was born in Nepal and the other two bandmates (Tenzin and Jampa) were born in India, but all of our parents are from Tibet; they actually fled in 1959 when the Chinese took over. Could you talk about censorship of music in China from a Tibetan standpoint? Tenzing Jigme: Basically there are a couple of things you can’t say: You can’t mention the Dalai Lama by name or say words like Tibet, freedom, free Tibet, and independence. But still, artists inside Tibet are finding out different ways to communicate their message of freedom and independence without saying those exact words. For example, there is a song called “Aku Pema,” which is a metaphoric way to refer to the Dalai Lama. So they are finding ways to break the censorship. Beside music, does this kind of censorship affect other areas as well? Is this lack of independence combined with the Chinese government’s control and censorship what motivates the band? Tenzing Jigme: Definitely, for us in exile it is crucial to preserve our culture and language. So we sing in Tibetan because it’s who we are. Actually your lyrics are form of protest. Can you explain more about them? Tenzing Jigme: Our movement is formed by a group of artists that have found, in music, an avenue to get our message across. We are using our songs to protest against the atrocities of China, from censorship to the environmental destruction in Tibet and some neighboring countries in Southeast Asia. Our lyrics also reflect other frustrations, such as the fact that we don’t have the luxury of waking up in Tibet and smelling the air of our land. Tenzin Ngawang: In the United States, we also have programs to teach Tibetan language to exiled kids. Our songs contribute that process of learning; we teach them what the words mean, what the song means, and its message. So, basically our motives behind having this band are not just for freedom but also to teach young generations about words, language, and culture. So you can see how our songs move from folk to rock. “Bhod Gyalo (Victory to Tibet)” from Revolt (2011). Video: melongband via YouTube. Would you also consider yourself a political band? Tenzing Jigme: Well our message is definitely political, but we don’t necessarily consider ourselves a political band. If you look at other political bands in America, they are basically rebelling against their government or other, specific movements. We are not rebelling against our government, we are rebelling against the occupation of our country. Lets talk about the band’s style, influences, and new projects. How did the melding of Tibetan music and blues rock come together? Tenzing Jigme: We all come from different backgrounds, musically. When we met I was mostly listening to western music because as a kid I went to western Jesuit- and Christian-influenced schools. Tenzin Ngawang, on the other hand, went to The Tibetan Institute of the Performing Arts. He is trained in ethnic Tibetan music and traditional instruments. Your second, and most recent, album is called Revolt. 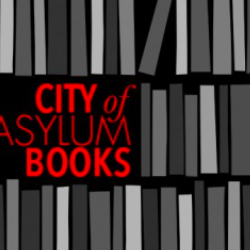 Why did you chose that title and what does it mean to you? Tenzing Jigme: The title is a way of saying that we are revolting against the Chinese government and their policies. 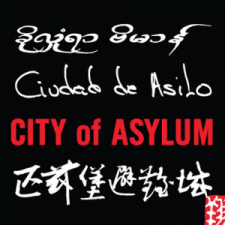 The album cover features a red star representing Chinese Communism. Did you feel that you had to take a more overt stand on this album than the first one? Tenzing Jigme: Yes. For our first album we had to adapt a bit to break into the Tibetan music scene, where pop music is the standout leader. In the second album we did what we really wanted to do, what we felt our responsibility was. What was the initial response from the Tibetan music scene? Tenzin Ngawang: It was good, actually. Back at the Tibetan Institute of the Performing Arts, my classmates and I performed traditional music, but it was clear that the younger generation was more interested in modern music with guitars and bass. Our band has had a really good response from the younger generation. It’s been really successful and we want to spread the message by playing what they really want to hear. Basically right now, our message is struggling for freedom, but we want everyone to be united as one. Melong performs at Exiled Voices of China and Tibet on June 8. Photo: Renee Rosensteel. You guys are currently based in Minneapolis, a city which has the second largest exiled Tibetan population in United States. What is the scene there like? Tenzing Jigme: In terms of the Tibetan community the scene is very vibrant. There is a lot of emphasis on the preservation of language and culture. Many Tibetan NGO’s like the Tibetan Youth Congress, which is the largest Tibetan NGO in exile, or Students for a Free Tibet, and the Tibetan Women’s Association are stationed in Minneapolis. When we first started the band we were broke, but the community supported us with donations. It’s a very supportive community. Are you the only rock band there? Tenzing Jigme: Since we started in 2008, other bands have been formed, but none have been able to record albums or go on tours. There are a couple Tibetan bands in India, but as far as bands in exile, no one else is doing this. Is there a chance that the band might tour in India soon? Tenzin Ngawang: That is something we really want to do. India is a place where there are a lot of Tibetan kids who have time to learn. When I was back there everyone was learning guitar; the problem is that they don’t have good schools and a lot of them have to teach themselves. It will be good for us to visit India. What would you like to say to the next generation of Tibetans? Tenzin Ngawang: To really remember where you are originally from. Preserve your cultural background and be informed about what’s really happening in Tibet. That is the most important thing to think about: What’s happening in Tibet and how can we stop the killing of Tibetan people? So far there have been 119 cases of self-immolation since 2009, but it’s still happening. The youngest one was sixteen years old. We want our youngsters to be educated: Keep on studying and learn how you can help in the future of Tibet.